Cottage renovations always seem to fall to the wayside. So the day you finally decide to commit to a cottage renovation is exciting! Just like a home renovation, bringing a cottage renovation to life takes careful planning. You need to have a clear idea of your cottage reno’s purpose, potential challenges, and benefits. The purpose of your cottage renovation is essential to identify before you get started. Improving usability is often the main, but what exactly does that mean? 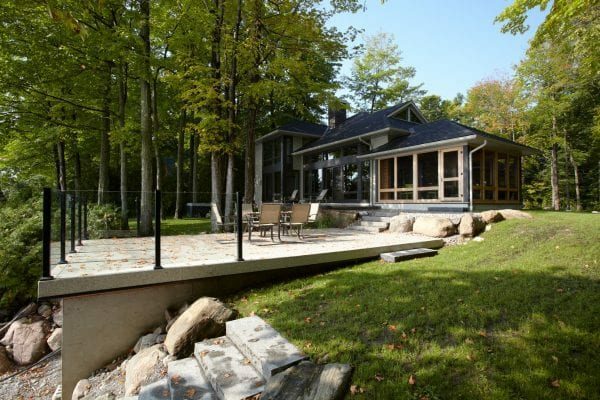 For your cottage, usability is defined by you and your family’s needs. For example, what seasons you’re there for, how many people you’re accommodating, and what activities you engage in. 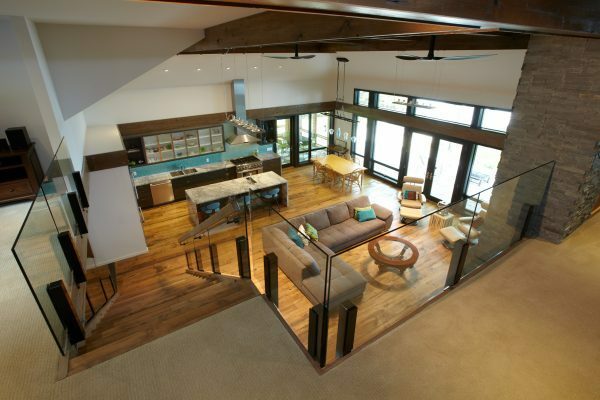 Below, we have included some examples of the most common purposes of cottage renovation. Often the expectations of people hoping to sell their cottage are a bit outdated. Unfortunately, many cottages are as well. There is an idea that all cottages will sell. In reality, the cottage market is slower than what you find in urban centers. They often sit on the market for months, or even years. Location alone is no longer enough to rely on. To appeal to consumers cottages need to feel fresh. An outdated cottage simply won’t sell. At least, not at its full potential value. The current cottage trend is in modernizing aesthetic. Colonial and traditional style cottages do not have the appeal they once had. Cottage life is a breath of fresh air that you just can’t get in the city. Retired people or those who work from home often long to escape to the more relaxed lifestyle. Even those semi-retired are moving to cottage country and keeping a pied-à-terre in the city. Others just want to build their lifestyle around the cottage. Especially if it is on a lake or larger acreage. Living in a cottage full-time requires considerations that other cottage renovations may not. For those who work remotely or work part-time, do you need an office at the cottage? Will you be meeting clients there? You may need to plan this into the design of your cottage. Is your cottage four-season ready? Most cottages are designed for three seasons. If you are staying in the cottage all winter long you need to be sure that it is insulated, heated and prepared with a backup generator. As well, what will you do about storage? Many cottagers store their summer gear, toys, and equipment inside the cottage over winter. Will this leave you with enough living space? Or will more space be required? Another consideration is guests. Guest rooms in cottages are usually pretty necessary. Not a lot of guests will visit a cottage just for the day, so they need somewhere to stay. But winter visits tend to be rare. Is it worthwhile paying to heat rooms that aren’t being used? At 8 Mile Point we set the guest bedrooms on the second floor. This allows the owners to seal off the guest area when there are no visitors. This kept heating costs lower and allowed them to operate the cottage as a fully functional bungalow when only the owners were present. Updating the look and feel is a common reason for renovating cottages that have been recently purchased or inherited. The old family cottage may have been designed around the needs of your parents or grandparents, but is it the right fit for you? Perhaps you bought your cottage with the goal of fixing it up, and now you need to figure out what that entails. The key here is to think about how you intend to use the cottage. For example, a common change is to update the kitchen. Especially for those who plan on staying for more than a couple days at a time, or entertain large groups. You want the ability to create full meals comfortably. 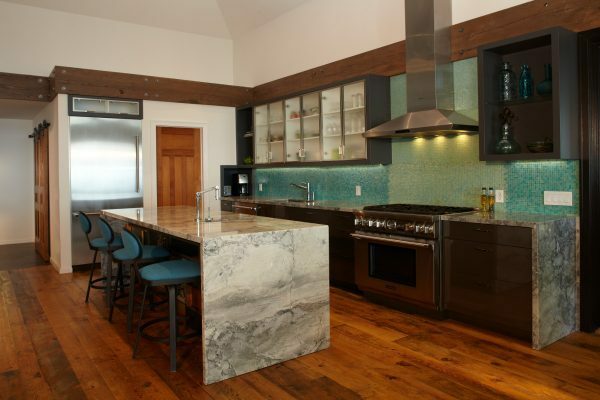 A cottage kitchen renovation also raises the resale value. The old cottage often has less modern amenities and appearance than modern cottagers are looking for. Just like with interior design for historic properties, it may be important to preserve the legacy of the old family cottage – but there is no need to live in the past. Put a focus on how you intend to use the cottage. This way you can decide what elements you can keep to preserve the building’s heritage, without sacrificing functionality. In the early stages of creating cottage renovation ideas, nothing is off the table. As planning becomes more involved, possible restrictions need to be considered. Unfortunately, not all ideas are a reality. But with careful planning, most can be achieved. Not every cottage is easily accessed by road. Dirt paths and trails may not be accessible by regular sedans or sports cars. An offroad vehicle like an ATV or Jeep may be required. In this case, you’ll need to consider where you and your guests can park your cars. Or, you may want to consider creating a proper roadway. When looking at a renovation, consider how equipment can be brought in. Is there an access point for the heavy machinery needed for the renovation? An island cottage is even less accessible. Consider what season you will be renovating. Bringing in equipment and materials will often be brought in by barges. A larger lake with many properties will likely have barges running year round. A more isolated lake may require equipment to be brought across the ice in the winter time. Sometimes, a complete rebuild is a better option to fit your needs than a renovation. But, there are limitations that come with a new build. For example, current regulations don’t allow you to build as close to the water as in the past. If your dream cottage rebuild hinges on building near the water you may need to keep a wall or section of the original build. This will allow the project to be considered a renovation and not a new build. As a result, you will be less restricted. Good cottage design lowers maintenance costs. Due to location, cottage maintenance is often more expensive than home maintenance. Services and amenities have less competition, utilities can be more expensive, and factors like pest control are a bigger concern. A well-planned renovation helps to reduce these costs. Making better use of space improves the usability of your cottage. This could include anything from opening up the kitchen space to adding storage space. The best use of space is dictated by your needs and intended usage of the cottage. A cottage renovation is the perfect opportunity to add in those features you have always wanted. A fireplace or hot tub add to your enjoyment while simultaneously raising its value. Just be sure to plan for these features before the renovation. Adding them in the late stages of construction or afterward can end up costing a lot more. Much like doing a full home renovation instead of a room-by-room renovation, doing all your updates at once is more cost-effective. The number one benefit, and your top priority should be creating a better cottage experience. Whether you are moving in full-time or only up on weekends, the cottage should be your oasis. Your cottage is your chance to get away from it all. Going to the cottage should not mean having to drastically change your life. Updates should ensure you are comfortable and allow you to pursue your favourite cottage activities.